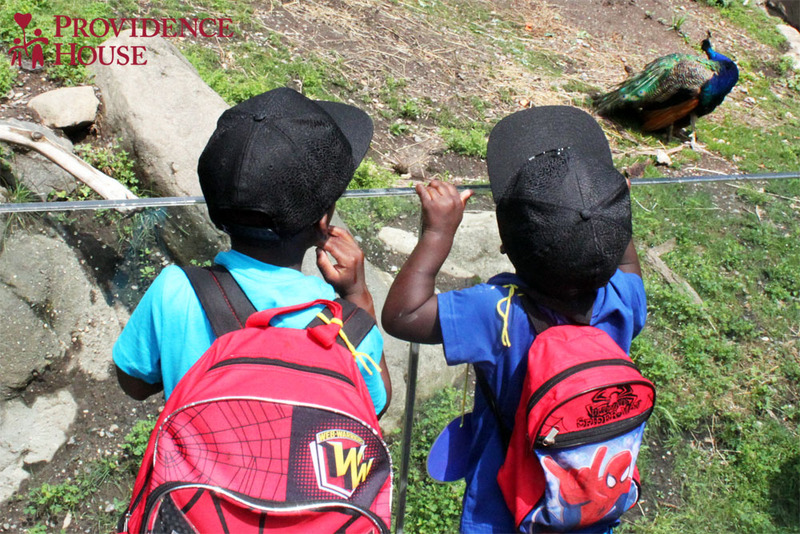 Our Child Care Center takes the learning outside again with a summer trip to the Prospect Park Zoo! With name tags gleaming on their chests, maps spread wide, their mothers in tow, and the sun slowly emerging from the clouds, the kids explored the various exhibits gasping and pointing at the many unfamiliar creatures. With the free roaming peacocks, sea lions racing through the water for treats, and monkeys dangling from branches, the Prospect Park Zoo served as the perfect classroom for the children to learn about many different types of animals and fish. It's with many fun times and adventures had that we welcome the weekend, Happy Friday! We are so happy and excited for Aniana as she and her daughter move in to their own apartment! Aniana came to Providence House with her daughter fleeing domestic violence. While at Providence House she worked as a home health aid while also working tirelessly with our housing specialist, Natasha. With time and diligence, Aniana made incredible progress, making her dreams of a bright future, finally her reality! As Aniana and her daughter settle into their home, they can now harness their relentless spirit of perseverance and dedication in their new chapter of life. Jessica came to our residence after leaving an abusive relationship two years ago. Finding a supportive community at Providence House, she quickly made progress toward independence. A mother of two, Jessica managed to save money diligently. She even managed to keep the same job during her bout of homelessness! This month, Jessica and her children have moved into an apartment in a safe neighborhood, with excellent transportation to her job. Though missed by the many who came to know her well, we’re so proud and happy of her accomplishments! Today, the Providence House Child Care Center took the fun outdoors with some gardening! With help from our child care teacher Lynisha, the children gathered their tools and got right to work. Learning through the action itself, they filled the dirt plots with flowers and a variety of vegetables like tomatoes, peppers, and cucumbers. Amid laughter and squeals of excitement, the soil was turned with sturdy plastic spoons and plots gradually filled to an abundance. Another day of laughing, learning, and growing for our little ones at the Child Care Center! Benedicta grew up an orphan in Nigeria and came to the United States in search of a better life only to find herself on someone else’s floor month after month. Soon after, Benedicta became pregnant. Still unable to support herself she became depressed at the prospect of raising a child without a stable home. “When I came to this country I thought I messed up. But sometimes disappointments are blessings in disguise,” she said as looked lovingly at her three-month-old daughter, Lakisha. Despite difficulties in Benedicta’s past, she had only relentless enthusiasm and gratitude about her stay at Providence House and hope for the future. “Providence House is a wonderful place. It is a place of hope and I can never believe that I live in a shelter because I always have it in my heart that I live with my family,” she said. “The sisters and everyone else – they are pushing you to be someone in life and I am so thankful to them for standing by me,” she added tearfully. 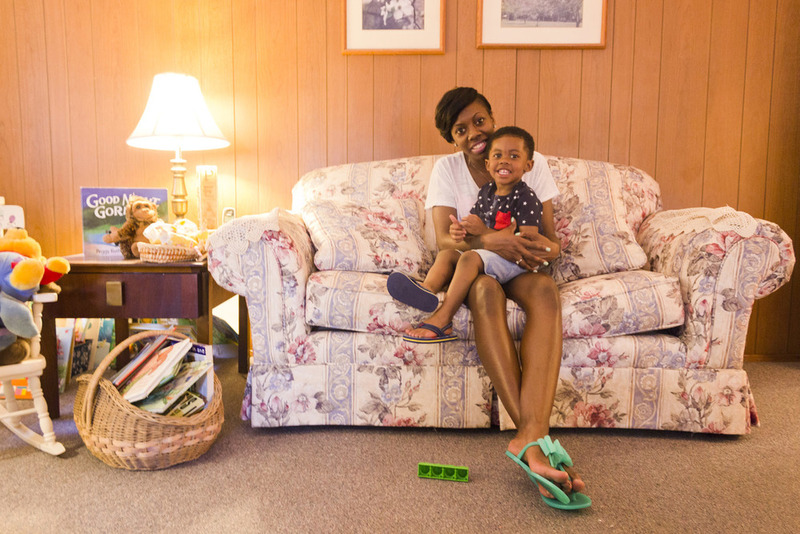 After going through a few short-term shelters, Shernice and her two-year-old son arrived at Providence House where she finally found the chance to heal, stabilize her life and make a plan to live more self-sufficiently. With the support from Tonisya, our Residence Manager, and others on the Providence House team, Shernice began to rebuild her life, pushing herself to stay motivated and positive.